Are you ready for another huge week of reading manga?! 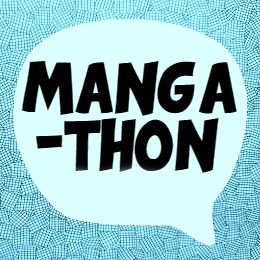 The Manga Readathon 2018 will run for a week from June 17 (12am) to June 23 (11:59PM) your time. We encourage anyone to participate. The only goal of this readathon is to read more manga than you normally would. If you don’t normally read manga, then even trying out a single page, or volume would be enough to participate. If you normally read 40 books a week… then try to read 41. That’s really all there is to it. You don’t have to have social media, but it helps! We will be running contests, and trying to interact with as many people as we can during the week. If you want to participate in most of these things, you’ll unfortunately have to be online. But, even if you can’t participate in those activities, we’re just happy that you’ve chosen to read manga this week with us! We hope you’ll participate with us this year – we had tons of fun last year!